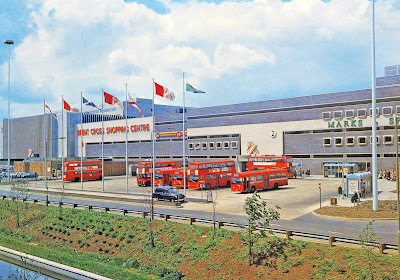 Vintage Stuff: Happy Birthday Brent Cross! 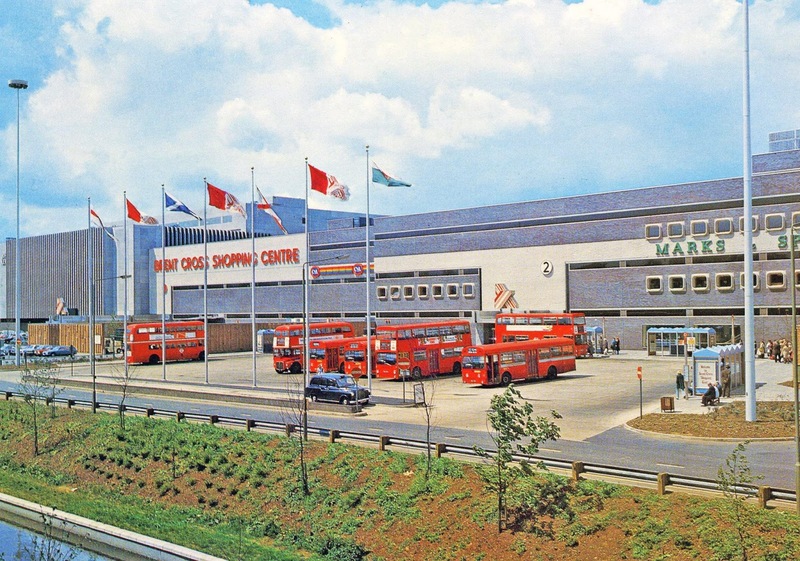 Brent Cross Shopping Centre was opened forty years ago today, on 2 March 1976, amid some speculation that it would remain a 'white elephant' and that no-one would want to shop in such an environment. It was the first of it's kind in London, although pre-dated by those in Birmingham (1964) and Leicester (1973), and of course went on to be a great success. Built on former allotment and waste ground in the London Borough of Barnet, rather than developed from an existing site, this Dixon's commercial postcard shows the centre when quite new with London Transport RML/DMS/SMS types on service in the adjoining bus station.